Since the inception of Activist Post, we have been chronicling the transition from traditional military systems toward a future war matrix of fully autonomous weapons. Many tech luminaries, universities and robotic weapons experts have called for a moratorium on the development of "killer robots," or even the outright banning of such systems. A debate has been framed within the United Nations but, as of yet, it's just talking points awaiting full discussion. Meanwhile, the military industrial complex continues developing, testing and fielding various levels of autonomous systems as though they assume that widespread proliferation is an inevitability. 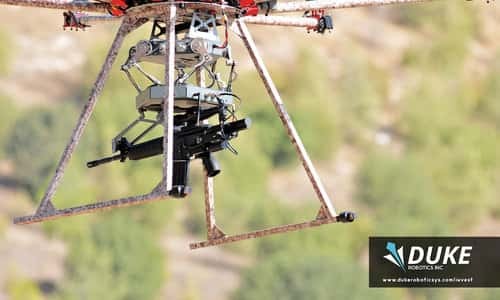 Based on technology developed in Israel, Duke Robotics recently issued an investment press release that indicates how the industry is proceeding with new weapons that will redefine the role of the soldier on the battlefield and how autonomous drones will be integrated. The press release discusses some of the features of this system, and interestingly alludes to a new "problem" that the military is experiencing as it executes its drone warfare program - namely, the concept of "danger-close" distances now occurring as U.S. allies on the ground are in close proximity to those who have been identified as terrorists, and also close to civilian populations. American drone pilots now routinely launch missiles at what the Pentagon calls "danger-close" distances to U.S.-backed rebel ground forces fighting Islamic State in densely populated cities. Hundreds of U.S special operations forces are deployed in Syria, and in some cases they direct airstrikes. But the danger-close missions also require approval from Syrian militia commanders because the missile blasts may put their ground troops at risk. "Ideally you don't want to accept that level of risk unless you have to," said Col. Julian C. Cheater, commander at Creech Air Force Base, where most U.S. Predator and Reaper drone pilots are based. "But in an urban fight -- like you're now seeing in Raqqah -- options might not be available to you." Over the last 20 years, unmanned aircraft were primarily used to collect intelligence or to launch Hellfire missiles at specific terrorist targets after extensive surveillance -- enemy strongholds or targeted killings of suspects in Iraq, Afghanistan, Pakistan, Somalia and elsewhere. But drones are no longer confined to shadowy counter-terrorism missions. Their role has expanded to include more traditional military operations, including an increase in airstrikes during combat and close support for advancing ground troops. "When terrorists operate, they operate from within the civilian population - preventing the military from shooting a missile into their targeted area," said Atuar. "The risk of collateral damage to innocent civilians is often too high. The primary solution you are left with is sending in ground troops - but this shifts the risk to your troops, which often leads to injuries and casualties. But, we thought, 'what if...what if there was a better way'. So we created the solution -- the TIKAD." - Reduces the number of deployed ground troops, thereby reducing the number of casualties. Also added in the video appears to be a facial recognition capability. As you'll see, the drone market continues to be too profitable to slow down any time soon. Duke Robotics estimates it to be a $10 billion pie that these developers are trying to get a piece of. Can this really "transform the way conflicts are being solved," as Duke states? 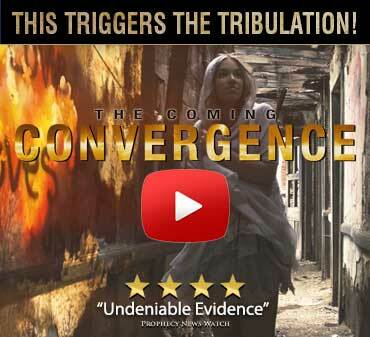 Or is it more likely that it will transform how new conflicts will be created. Originally published at Activist Post - republished with permission.